There are many Americans who define themselves as human rights advocates yet who are, at the same time, wary of those of us who take great care when defining the meaning of human personhood. We are suspected of being over-zealous because we point out the killing of preborn embryonic children in IVF labs or the deaths caused by chemical birth control in addition to exposing the heinous acts of medical and surgical abortion. We are obliged to affirm the reasons why the law must recognize human rights for every individual from its biological beginning, and that is why we are such a threat to the status quo. But from what I have read in the headlines lately, I would have to say that our efforts are really quite noble and should be examined in the light of truth instead of what is or is not politically pragmatic at the moment. Today, even though the twins face many challenges, they are accomplished musicians and very bright students. But most of all, they are a delight to their parents, who couldn’t imagine life without them. Tyler and Stefan are a perfect example of asexual reproduction. These boys are identical twins and therefore asexual reproduction came into play in the creation of one of these twins. 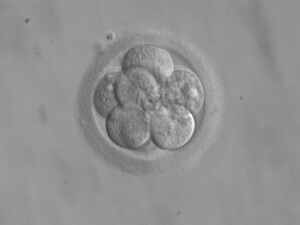 The first human embryo grows and, at a certain point very early in this growth, some of the cells break off from the inner cell mass and those cells generate another embryo with a distinct development track of his own. As Professor Dianne Irving, Professor C. Ward Kischer and the Carnegie Stages of Human Development—stages 2 through 5—concur, it is because of these individuals who are not created sexually through fertilization that we must be accurate in the language we use to defend the human rights of every human being. Whether talking about IVF, asexual reproduction, or abortive birth control chemicals, tinkering with the lives of children is wrong. Scientists, doctors, and ethicists must join together to affirm life, affirm human rights, and stop discussing ways to kill or manipulate the human person.